Due to the wide range of chemical structures and variety of mechanisms of action of antischizophrenic agents, it is difficult to identify and confirm a common pharmacophore. 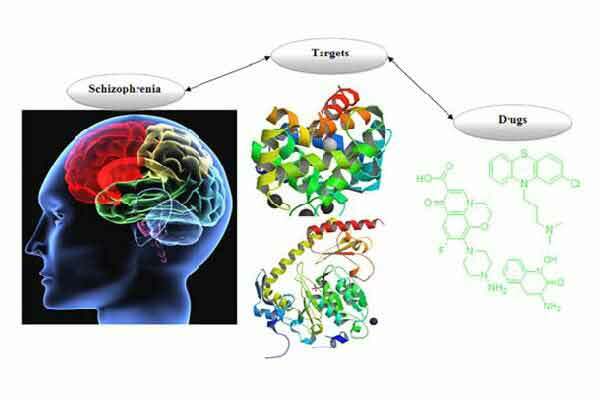 The present review summarizes various pharmacophore models for antischizophrenic activity including those based on the new targets, the kynurenine aminotransferase (KATs), which may facilitate the development of novel drugs. Some models illustrate the structural differences of compounds with mechanisms of action considered similar, and yet others demonstrate pharmacophore models for similar chemical classes of compounds for which the mechanism of antischizophrenic action is still not clear. In this study, we discuss the pharmacophore models for antipsychotics including phenothiazine, butyrophenone, thioxanthene, and atypical agents along with the novel antischizophrenic agents which are inhibitors of KATs isozymes. Antipsychotic, antischizophrenic, dopamine D2, pharmacophore, KATs inhibitors, serotonin 5-HT2A. Faculty of Pharmacy A15, The University of Sydney, Sydney NSW 2006, Australia.